How to Convert AAX to MP3 with DRM Removal Tool on Mac? Audible.com is being one of the most depended sources for downloading music files. Millions of users already using the service to opt their favorite music files. Most of the music files served by Audible is in AAX format which protected by the DRM (Digital Rights Management) that blocks specific devices from using the AAX files. Which means, the users will not be able to play the .aax format music files in any Smartphone, PC, Laptop or other music devices other than the approved one’s by the provider. Normal music converters can’t remove the DRM protection of the AAX files and convert it into the non-protected MP3 format. To do so, a good DRM Removal tool is the only choice. They will also convert .aax files from protected to non-protected .mp3 format music files by removing the DRM protection. 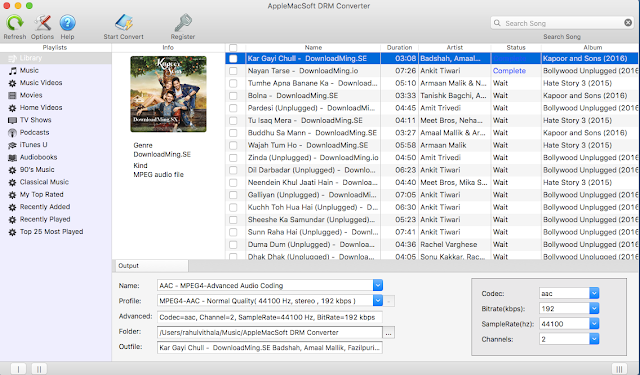 The AppleMacSoft DRM Converter for Mac is such a good software that removes the DRM protection of the AAX files by converting it to MP3 format. 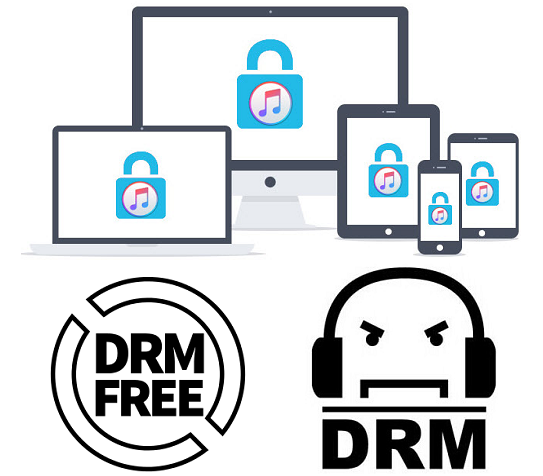 The software helps you to convert DRM protected AAX music files to MP3 format that support any non-Apple devices like Smartphones, PCs, Sonos and much more. A large set of features and the fast processing speed diverse it from normal DRM removal tools. iTunes integration feature of the AppleMacSoft DRM converter can automatically fetch the files from the iTunes that makes the tasks simpler. All in all, it is the best solution to convert AAX to MP3 on Mac. You can even try and test the software for Free before going to purchase a full version. To begin the process, you have to download AppleMacSoft DRM Converter software and manual install it on your macOS. After installing the software, follow the simple steps given below to convert .AAX files format to .MP3 after removing DRM protection. First of all, you have to Import the .AAX music files in iTunes library. 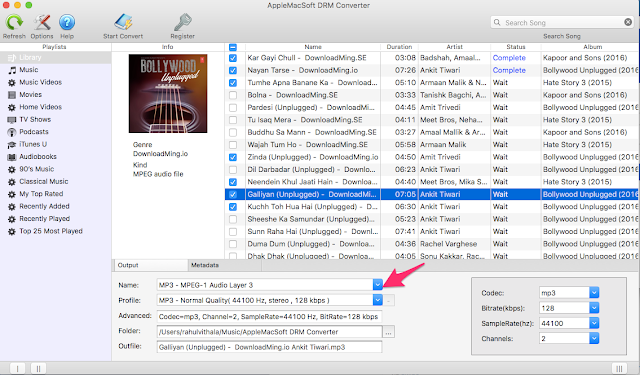 AppleMacSoft DRM converter will automatically fetch the music files in your iTunes library and list them on the software window. If not click the Refresh Button to do it manually. Now, select the AAX files that you want to convert to MP3 format. You can select any number of files as the AppleMacSoft DRM Converter can handle them. Now, select the Output format as MP3. Also, select the output folder by clicking on the Browse button in Folder section. The remaining settings will be automatically configured by the software according to the best fit for the MP3 format. You can also tweak the configurations as you like. We recommend to not change other configurations unless you are aware of what you are doing. Now, you can start converting the AAX music files to MP3 format by clicking on the Start Convert button on the upper part of the AppleMacSoft DRM Converter window. The Software will now start converting the AAX music files to MP3 format and put them in output folder that you have selected before. Now, you can enjoy the converted MP3 files without any protection that can be played on any devices.